Go Back to the Homepage / Is home contamination real? 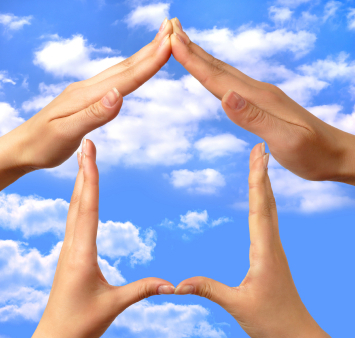 The presence of radioactive iodine (I131) can bring some real challenges around the home. Iodine can be a very reactive element. It has a strong charge, which allows it to cling tightly to many surfaces. This can make it difficult to remove. If it attaches to dust particles, this may allow it to travel beyond the immediate area of contamination, such as the isolation room in your home. It is very important that thorough and effective cleanup be done to insure that contamination is not spread. Other family members or guests – especially children – may be more adversely affected than adults. You have undoubtedly been instructed by your healthcare provider to be in isolation for the first several days following your treatment. This is very important because during that time, your body will rid itself of the excess Radioactive Iodine that your thyroid does not absorb. The I131 that leaves your body through urine, sweat, and saliva could cause serious contamination if not cleaned up properly. 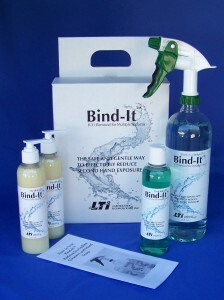 Bind-It™ Patient Care Packs are designed to help you rid your home of radioiodine contamination. Bind-It™ is used by leading hospitals to clean their facilities, you can use the same safe and effective product they use, Bind-It™. This makes total sense. Makes me wonder why they send you right home after the treatment.